At the beginning of March one of my best friends, Becky, mentioned that she had a long weekend coming up. We had been trying to figure out a little road trip weekend but had decided with our budget we should do a nicer stay-cation weekend, going anywhere would take all of our money just with a flight and hotel. Whereas if we stayed in Chicago we could actually make a crazy fun weekend of it. 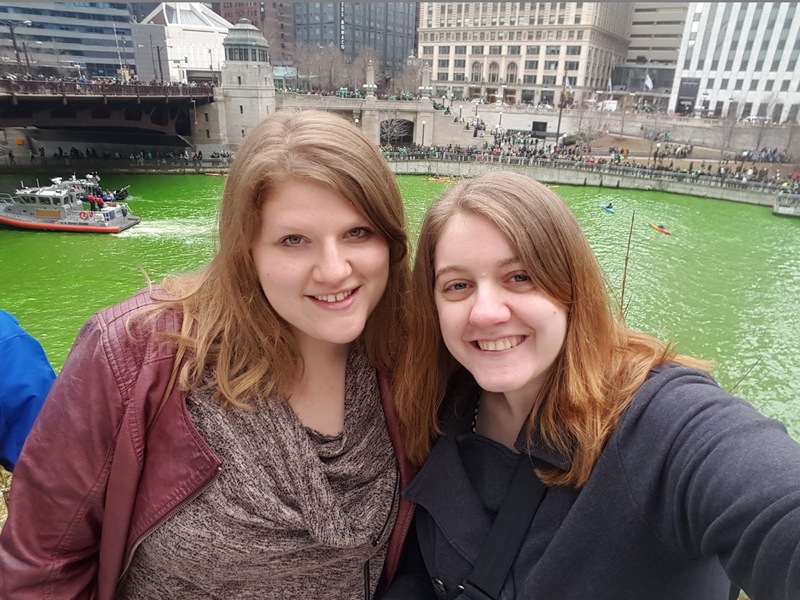 When I realized the dates she was talking about would coincide with the St. Patrick's celebrations around the city I knew it was meant to be! So I worked on booking us a good priced hotel and figuring out what we were going to do that weekend and we were off. 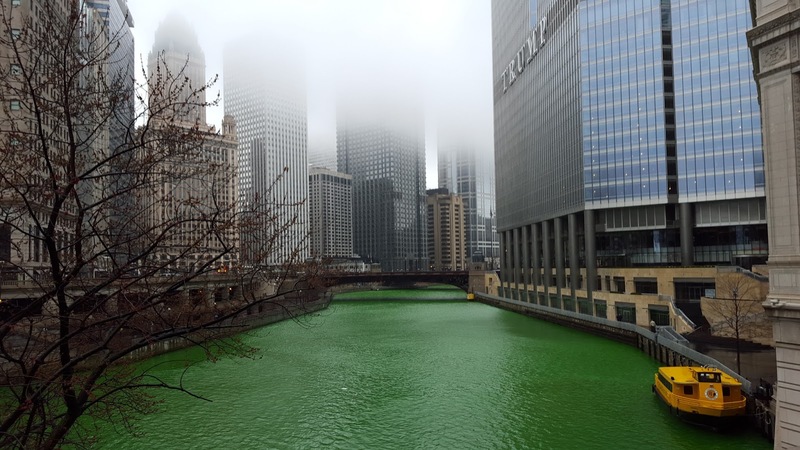 I found a great deal at the Hampton Inn & Suites Chicago-Downtown, which is smack-dab in the River North neighborhood, which made it the perfect location for everything we wanted to do for the weekend. Saturday morning I was up bright and early to catch the 6:20 train, Kevin was up as well since he was amazing and dropped me off. I wanted to make sure I got in to the city with enough time to drop off my bag and high tail it to the river to see the dying of the Chicago River green for St. Patrick's Day. I definitely made it and had a front row seat, glad I could check it off my 101 list. Once Becky got in, after a little bit of issues with the South Shore train line we were off to the West Loop to work on one of my restaurants off that 101 list item, Au Cheval. I had done my research and knew that the wait time could be up to an hour but I figured with all the festivities we might get lucky. I was wrong! Still had to wait but with the nice weather we strolled for a while. 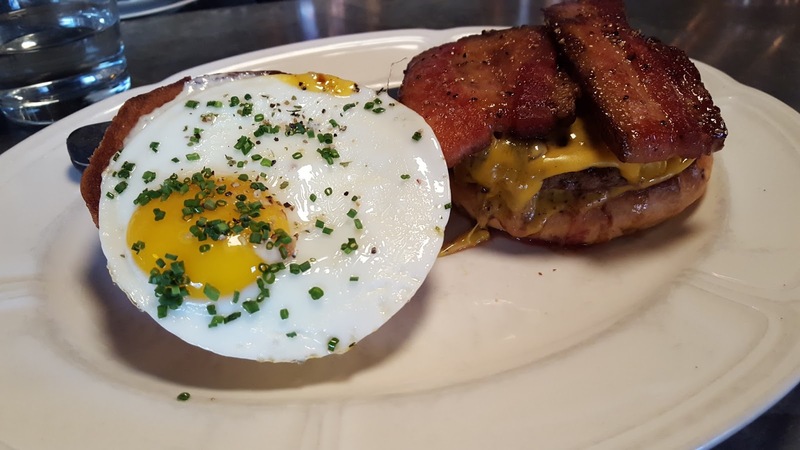 After both of us ordering the cheeseburger with fried egg and bacon we both understood why this burger keeps getting ranked number one all over the place. We should all be proud that I actually finally ate a runny egg yolk too! To be totally honest I could have done with just the runny yolk and without the rest of the egg on the sandwich. In addition to the burgers we split the green salad off their brunch menu and were perfectly satisfied. Since we were totally full we headed back towards the hotel to figure out our next move. Since there was 6 hours in between then and our evening plans we though we would take in a movie. What did we agree on? Yup a Disney movie! Zootopia it was and we really enjoyed it. Kevin's old band 'Stache decided to be oh so accommodating and play literally a block from our hotel from 6-9pm that night. Which the two of us decided was perfect since we're old and go to bed at like 10pm now ha. Sunday was more taking it easy! We walked around the Loop and Michigan Avenue hit up some stores. Our Sunday afternoon we decided to pamper ourselves and get massages at Mario Tricoci. When I called to make the appointment and mentioned it was a best friend weekend the scheduler booked us in the couple's room. Which seems a little silly but was kinda fun! I had been to other Mario Tricoci salon's but the spa at this location was amazing. 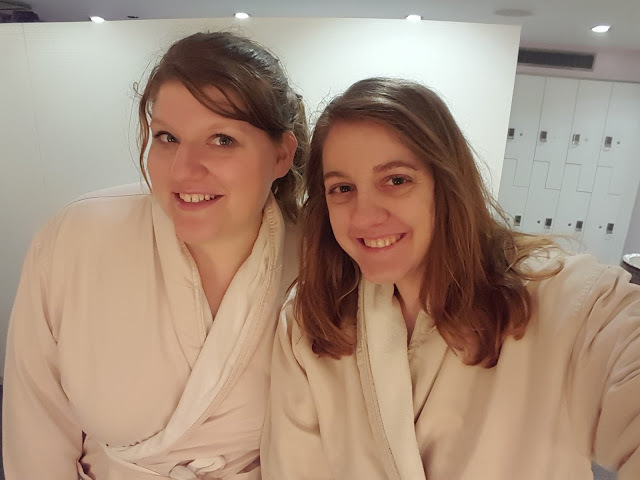 We had robes we got to wear, we were able to use the steam room (not for me!) and the quiet room. It was a great experience. Later that night we had dinner at Gaylord Fine Indian Cuisine. That location was just as good as the Schaumburg location so we left very happy and full. Then followed it up with chilling at the hotel and taking advantage of the pool & hot tub. Monday started off with a leisurely start and we met up with my friend Jackie for one of our favorite Japanese places, OYSY Sushi, for lunch. As per usual it was delicious. Then Becky and I hot footed it to the Art Institute to check out the Van Gogh Bedrooms Exhibit. 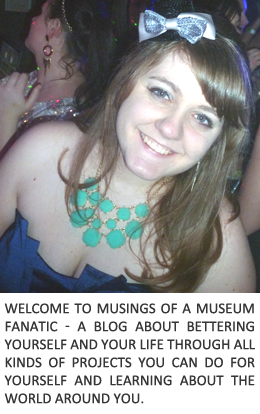 Check out my post on that with photos, that was a fantastic exhibit! I was able to check off my 101 List a visit to the Sprinkles Cupcake ATM too! We topped off the weekend with the most adult thing I can think of doing ... high tea at the Drake! It was an awesome weekend with one of my best friends!